the problem started suddenly, it was working normally more than 2 years. but now, it can not start. Please, If someone has had similar problem like this, help me. Have you contacted the appropriate people at GE/BN? I attached last screen before problem start. after this this message (attached picture), ascent stop starting process. 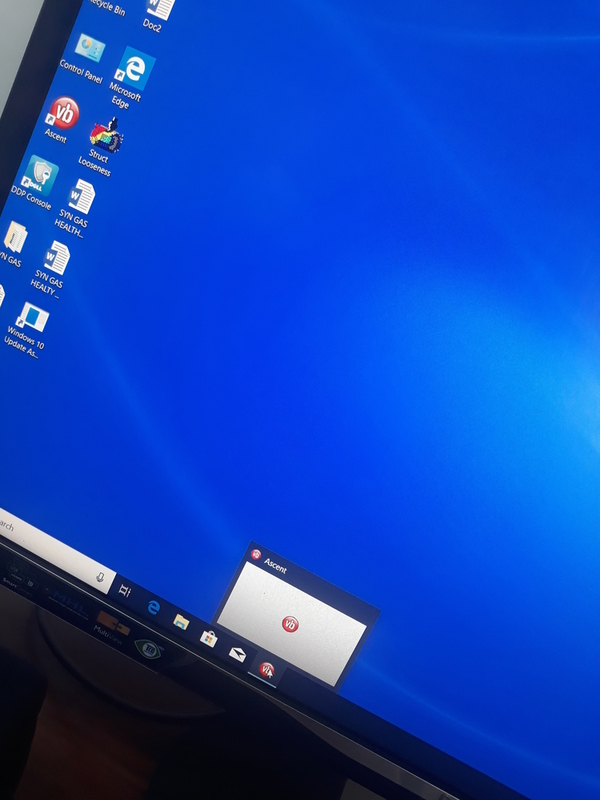 .... Pc with Windows 10.
after we restored last good session of windows, then the Ascent software started correctly. Now, we are checking next action, because new windows 10, become no compatible at Ascent version 2015. I have ASCENT V15.1.65 with Win 10 V1809 running without any inconvenience. You can check via mail to kevin.roath@bhge.com of GE. for support and updates of both the ASCENT and the instrument firmware.